I once had the good fortune to spend a 20-hour layover in Istanbul, and I've been intrigued by this massive, multifaceted city ever since. While I caught only a glimpse of Istanbul, the city and its inhabitants come to life through Lisa Morrow's writing.As an expat and longtime resident of Turkey, Lisa describes life in Istanbul with both the authority of a local and the keen observation of an outsider. This collection took me inside places I couldn't have gone, inside private homes and to a funeral ceremony. It invites you into the intricacies of the local spice shop and the contradictions of bra shopping.Morrow is always asking questions. In one of my favorite stories, her metrobus ride is imbued with that sense of whimsy that propels travel lovers. She wonders about the history at each stop along the route as the changing city slips past her window.I thought this book was beautifully written and wonderfully informative. Morrow captures both the feeling of the city and her personal process of learning about it in print. 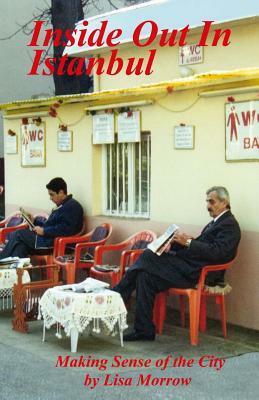 There is no one Istanbul, and this fine work of travel writing will leave you wanting to know them all. I received this book from goodreads.com giveaways.I thoroughly enjoyed these vignettes of life in Istanbul as experienced by the author.The diversity of the Turkish people and the people who live in Turkey is explored in a very interesting and well written manner.The complexities of buying a property, the Hamam experience, and the choices facing Turkish women are all described delightfully.This book made me feel that I too want to explore Istanbul away from the tourist areas. A nice enjoyable read. Lisa Morrow - Librarian Note: There is more than one author in the Goodreads database with this name.